Welcome to the best compound bow reviews and how-to guides. Before you buy a bow, understand that there is no “perfect” or “best” compound. Depending on the archer, different characteristics of a bow will be more appealing than others. The majority of beginner shooters want a bow that is light-weigh, super powerful, smooth to draw, relatively small, shock-proof, easy to tune, quiet, and with very high let-off. And of course – it must be cheap, too! There is no such thing, and even the best compound bow for the money won’t meet all of these criteria. In the real world, you need to sacrifice one thing to gain another. The above is why we’ve created this guide. The compound bow side-by-side comparison chart below will help you find the best compound bow for your needs. With the help of our compound bow reviews, you’ll learn everything you need to know about the model in question. You’ll learn how fast it shoots, how forgiving of human error it is, how the limbs behave and whether they are parallel or not, how the bow performs and shoots, and so much more. And if you’re into other types of archery, please head over to Archery Choice for some excellent resources. 5 - 70 lbs. (adjustable) 13 - 30" 310 FPS 75% 31" / 3.1 lbs. 5 - 70 lbs. 12" - 30" 310 FPS 75% 32" / 3.6 lbs. 40, 50, 60, 70 lbs. 25" - 31" 332 FPS 80% 31.25" / 4.3 lbs. 50-70 lbs. 15" - 27" 325 FPS 80% 32" / 3.5 lbs. 15-70 lbs. 7.5" - 30" 295 FPS 75% 29.25" / 3.2 lbs. How Were These Best Compound Bow Reviews Prepared? Understand that every compound bow manufacturer wants you to believe their product is special. Anytime you read an official description of a compound, you’ll get the feeling it’s the fastest, lightest, most accurate and quietest bow on the planet. Realize that you are only told what you want to hear. For instance, even the best compound bow can’t be both easy to draw and powerful-shooting. This stems from basic laws of physics: energy can only be converted from one form to another, but it can’t be produced from nothing. A compound bow simply stores the energy you apply with your muscles, and then transfers that energy through the limbs and to the arrow. In other words, the power of a bow is directly related to how much effort is required to pull the string. If you want a bow that shoots fast, your muscles will need to provide it with enough energy to do so. It’s therefor not possible to have a powerful compound with a light draw weight, and no fancy compound bow technology, advanced cams, parallel limbs or super-duper laser-crafted carbon risers can change that. A compound bow is in fact very simple in construction. It’s not a technological marvel, and there are no micro chips or electronic circuits involved that could produce magical results. The above only scratches the surface. My reasons for mentioning this are to explain how we went about choosing these particular compound bows as the best in the field, and why we decided to post these specific compound bow reviews, rather than review any of the other hundreds of models available. We made sure to include a wide variety of different compound bows, made by the top manufacturers in the industry. All of the models listed here have been tried and tested. None of them are perfect though. However, each of them performs exceptionally well in a particular department, and that’s what you’ll learn by reading our compound bow reviews. Our goal is to provide you with quality-variety- it’s up to you to determine what characteristics are of value to you, with our help of course. Most compound bows are given really fancy names, such as the Legion, Motive, Drive, Pantera, X-Force, Stinger, and much more. These names, combined with vivid manufacturer descriptions of how awesome the bow is, can easily mislead you into believing that the model in question has some special powers. As mentioned earlier, a compound bow is a very simple, almost primitive weapon – despite the fancy words used to describe them. It’s therefore important that you understand what it is that makes a compound great, and what features to look for, and why. How Choose The Best Compound Bow? Draw weight equals power. A 50 lbs. compound bow might perform a little better than another, similarly designed 50 lbs. compound. The difference will however be miniscule. A bow is only capable of accelerating a projectile by releasing the energy stored in the limbs, and that energy is transferred to the limbs from your muscles. WIth that said, compound bows have the advantage of let-off, which makes drawing weights as high as 70 lbs. relatively easy compared to, say, a recurve bow or a long bow. 70 lbs. is of course a ton of power – enough to take down the toughest game on even an Africa hunting safari. although you might need to get quite close to your target for the shot to matter (make sure to follow your guides instructions and do NOT get any closer than advised). Parallel limbs are ideal. In the older compound bows with close-to-vertical limbs, releasing the string resulted in the limbs accelerating forward. Some of this energy inevitably gets transferred to the riser, resulting in significant hand-schock. In newer, quality compounds, the limbs are almost parallel to each other when the bow is at full draw. When the string is released, the upper limb accelerates upwards, while the lower limb accelerates downwards, and the two forces almost cancel each other out. As a result, no excess energy is transferred to the riser, and hand-shock is pretty much non-existent. You have two compound bows – both @ 60 lbs. draw weight. Both bows have a draw length of 29″. Both bows are used to shoot 400 grain arrows. One of the bows has a brace height of 6″, while the other 7″. The bow with the 6″ brace height will be more powerful and will accelerate the arrow with more FPS. That’s because in the first bow, the string will need to travel 29″ minus 6″ = 23″ before it reaches full draw, while in the second bow it will travel 29″ minus 7″ = 22″. Longer string travel distance equals more energy stored in the limbs, and hence a more powerful shot. If you read our compound bow reviews, you’ll learn about the bow’s brace height and how it affects shooting. Understand that brace height is a double-edged sword. While it’s definitely the case that a compound with a shorter brace height will be more powerful than a similar compound bow with a taller brace height, keep in mind that the shorter the brace height the more difficult the bow is to shoot. As the brace height is shortened, the string moves closer and closer to the riser, making it harder to draw with proper technique. Additionally, this increases the chances of the string hitting your forearm as you release it. If you are a beginner, I recommend getting a compound with a brace height between 6.5 and 7.2 inches. Anything within that range will work and will provide a nice balance between power and ease-of-use. Let-off percentage is important. Most of today’s best compound bows come with a 75% to 80% let-off. There are models with 65% let-off, however these are mostly used by professionals competition archers. The let-off percentage indicates how much mechanical relaxation is applied at full draw of the string. So if it takes 50 lbs. to draw your bow, an 80% let-off means this value will be reduced by 80% (down to 10 lbs.) once you complete the draw stroke. As a result, holding and aiming the bow at full draw for extended periods of time becomes trivially simple when compared to traditional recurve and long bows. Limb style doesn’t matter that much. Some compound bows come with solid limbs, while other bows come with split limbs (ones with an empty space in the middle running across the length of the limbs). The difference between both can pretty much be ignored. All that really matters is the quality of the materials used in the manufacturing of those limbs; the more reslient, the less likely they are to break. Luckily, all respected manufacturers use only the highest quality materials nowadays, and it’s exceptionally rare for the limbs to break, delaminate, or even splinter. You want a compound with a wide “valley.” The term “valley” is directly related to the geometry of your bow’s cams. When you are at full draw and the let-off (say 80%) is in full effect, it’s not unlikely for archers to “creep” forward. (By creeping we mean unconsciously reducing the tension applied to the string, hence causing it to “creep” closer to the riser.) When this happens, the holding weight of your bow will increase dramatically at some point, as the let-off is no longerin full effect. This sudden spike in tension causes the archer’s form to break, as he attempts to regain control over the bow. The wider the “valley” of your bow, the further you can allow the string to creep before you experience the above. Likewise, if you own a bow with a narrow valley, even the slightest creeping after reaching full draw can result in a sudden weight spike. Beginner archers will obviously benefit most from using a compound bow with a wide valley. Keep in mind that you won’t find any mention of the valley width in the specifications of your bow – it will vary from model to model and will depend especially on the design of the cams (medium, aggresive, etc.). Make sure to read our best compound bow reviews for detailed information on this. If you therefore were to buy a compound bow rated as 340 FPS, but you bought the 60 lbs. version, your bow will shoot slower than 340 FPS, since speed tests were done using IBO’s required 70 lbs. draw weight. Likewise, if you shoot using arrows heavier than 350 grain, your arrows will fly slower even if you have 70 lbs. draw weight and have set the draw length to 30″. Other factors come into play as well. The archers shooting form, weather conditions, proper string conservation, brace height, cam aggressiveness – all will impact speed to a degree. As a result, the FPS rating provided for a compound bow should be treated as a very close estimate, not an exact value. How Much Should You Pay For a Quality Compound? If you have an unlimited budget, buy the most expensive compound bow from your favorite manufacturer. While price is not always an indicator of quality, you can rest assured that all of the highly-priced compounds ($750 and more) will deliver exceptional performance. They might not be the best value for your money, and you might be able to get a very similar bow by paying even 200 dollars less. The way the archery industry works, however, is that manufacturers will always overprice their top-of-the-line, most innovative bows. What currently costs a $1,000 and is likely not selling in high volumes due to the steep price, will cost $400 a few years from now and will be a best seler. This is the way it works. So if you have an unlimited budget and just want to quickly buy a compound bow that will inspire awe in both you and your friends, pick a well-established manufacturer, be it Martin, Bear, PSE or Bowtech, and get their flagship compound. This will likely be a bow with 340+ FPS, the latest dampening technology and grip design, custom-designed strings, pivoting pockets, and all the other bells and whistles. If you have some money but would rather not break the bank, go for a compound in the $350-$450 price range. The largest selection of compound bows is available in this range, giving you a very large number of bows with varying characteristics and designs to choose from. Most of these bows will feature a speed in the 305-320 FPS range, and an average brace height of 7″. Bows in this price range account for the largest sale volumes for most compound manufacturers, so expect a lot of diversity and great bargains, though not many of the latest technological breakthroughs in the archery world. If you are really on a tight budget, you can get a decent compound for around $200 or maybe a little less. Your selection here will be limited however, as most manufacturers can’t turn a profit by selling a compound for so little – not if you want it to be of decent quality. As a result, only the biggest players on the market will offer good deals in this price range, as they can afford not profiting from the sale; to them, this is just a marketing technique. They sell you a good but inexpensive compound and hope that you come back to them a few years later, a happy customer, to upgrade. You will then likely buy one of their better bows (in the $350-$450 range), which is when they make their profit. Now it’s your turn. Pick the best compound bow for your needs with the help of our comparison chart and bow reviews. Be sure to read our how-to guides as well, as there’s a ton you can learn from them. 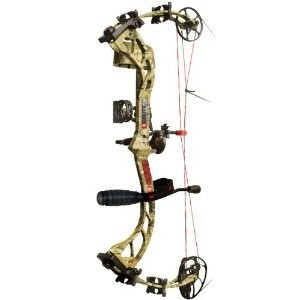 I just purchase a PSE Surge, great bow so far. I made the mistake of buying a 70lbs draw. I have her turned down to around 50lbs right now, it’s easyer to draw. So far the bow has exceeded my expectations, good quality and very accurate. Pse makes a great product and I would recommend this bow to a beginner or intermediate archer. I really appreciate the information , as I suspected buying a new older stock bow is the way to go! new tech that is two years old is just old tech to the bow world but would make a great hunter for me at a bargain basement price !!! I am a newcomer looking to get into bowhunting with my friend. I am looking to get my first bow to practice with until I am confident enough with my archery to be an ethical shot. I do not want to have to upgrade to a newer bow immediately so I would like my first bow to be good enough to shoot and hunt with until I am an experienced bowhunter. I would like the bow to be able to take down bigger game such as deer and elk. I am 5’10”, 22 years old, 175 lbs. My budget is around $500 I would like to keep it under that if possible. Don I have been shooting since I was 8 I’m now 66 the Hoyt charger is in your price range will not let you down it will impress you every time you shoot it! Good luck keep you pattern tight. My suggestion would be to check out brands like parker and Martin. First bow I bought was a Martin cougar fc. Great bow. Lethal and accurate. My second bow was a parker eagle. Got it as a package deal for around $400.